Barbara Prater Mosman was born on July 4. 1934 in Salina KS; to Cloyd and Ruth Prater. She was the oldest of three siblings. Barb had two younger brothers, Cliff and Marvin. Her father was a prominent business owner of a large Nursery in Kansas. Barbara graduated from high school in 1952 where she promptly met Doral Kinman a young military enlistee from California. They married and had four children. The family soon saw themselves overseas in Turkey and France residing in military housing. After two years they settled at Nellis Air Force Base in Las Vegas, Nevada. Barb was a military wife for over 20 years, in 1972 she and Doral relocated to Banning, California and purchased a home. After an unforeseen divorce, Barbara remained single and worked for the BLM for 27 years in Riverside, California. In 2006, Barbara met and married the love of her life, Werner Mosman. He was a retiree of the Navy and resided in Hemet, California. 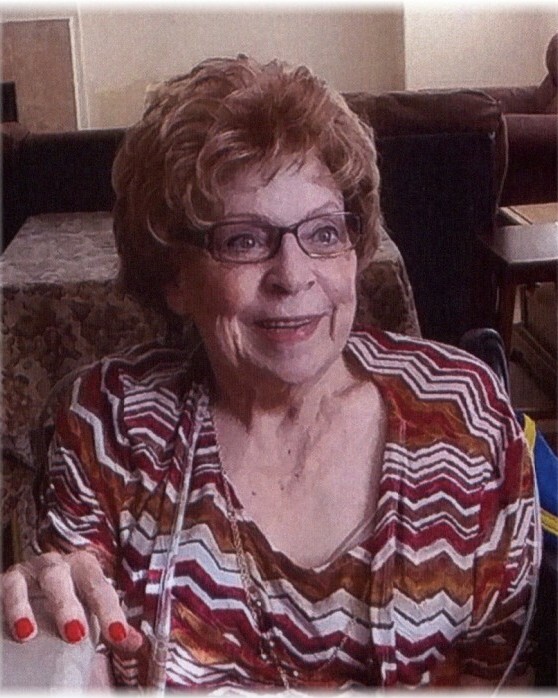 Werner passed away in 2013 and Barbara moved to an assisted living apartment in Hemet. She had a severe stroke and 2017 that left her incapacitated from daily activities. Barb required more assistance, so she then went to live with her granddaughter in October 2017. Barb spent the rest of her years enjoying and surrounded by her loving family. On September 14, 2018 Barbra passed away peacefully. Barb was a strong woman of faith and loved the Lord. It was her strong desire to see all her kids saved and ready to meet the Lord. She loved people and social events. She also loved traveling, socializing and sharing good food with friends and family. Barb was a loving woman of God and now resides in Paradise with our Heavenly Father. We will meet again someday!